NEW EPISODES IN 2019! 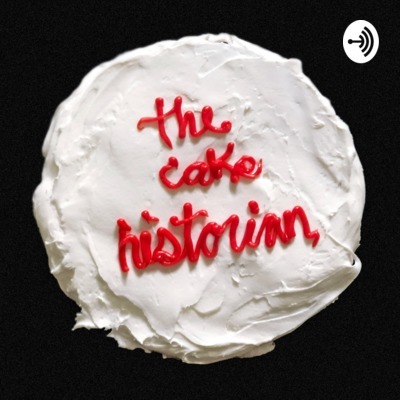 The Cake Historian is a podcast exploring history and culture through the lens of cake. Much more than just the ingredients it is made from, cake is a symbol of celebration, a bringer of joy or pain. Cakes show up in literature, music, art, and on film. It is a food of love and loathing. And even, occasionally, a vehicle for murder. This is not your usual food podcast. I love this interview so damn much. Laura Shapiro, author most recently of WHAT SHE ATE: Six Remarkable Women & the Food That Tells Their Stories, and I talk cake, her career path, feminism, consciously—or unconsciously—ingested societal ideas around marriage, the history of cake mix, and the frankly horrendous diet culture. Oh, and Hitler. This is a doozy of an episode my friends. Please be aware that certain subjects discussed may be upsetting for some listeners. Visit www.thecakehistorian.com for more information, vintage advertisements, episode resources, and recipes for the TWO Cake(s) of the Episode: Pancake Cake and a Cakey Cobbler via Smitten Kitchen which Laura bake with peaches :). Original music composed by Alejandro Hernandez. Craving another slice of cake? Subscribe via your favorite podcast directory. Reviews always welcome and extremely helpful! Episode 3 features an interview with the Montreal-based artist Shelley Miller. Using frosting, hand-formed sugar tiles and food coloring, Shelly creates graffiti and murals that address power, feminism, and the slavery and colonization of the sugar trade. Listen in as we discuss her art, inspiration, and methods as well as the complexities of being a working artist and single parent, among other topics. http://www.shelleymillerstudio.com https://www.instagram.com/shelleymillerstudio/ Photos, The Cake of the Episode, and further links can be found at www.thecakehistorian.com. Have a cake story to share? A comment or a question? Feel free to reach out: hello@thecakehistorian.com . Original music composed by Alejandro Pinto-Hernández Resources: This episode's list is more extensive than space here allows, so please visit thecakehistorian.com for a complete selection of links. Episode Two features an interview with Jessie Sheehan, author of the new book THE VINTAGE BAKER. She spoke with me from her home in Brooklyn, New York about the book and baking as well as everything from finding career happiness later in life, to motherhood, the perils— and pleasures—of social media, the comfort of a boxed mix cake and more. Jessie's website: https://www.jessiesheehanbakes.com Photos, The Cake of the Episode, and further links can be found at https://www.thecakehistorian.com Have a cake story to share? A comment or a question? Feel free to reach out: hello@thecakehistorian.com Original music composed by Alejandro Pinto-Hernández Resources: “Collecting: Vintage Baking Pamphlets.” Martha Stewart Living, August 2011 https://www.marthastewart.com/368631/collecting-vintage-baking-pamphlets New Party Cakes for All Occasions. (1931). General Mills Inc Cake Secrets. (1953). General Foods Corp.